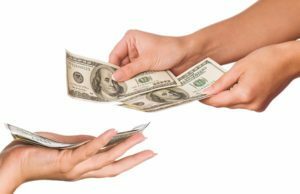 Monetization techniques for Internet TV | TvStartup Inc. I will start with the least known Monetization benefits of having your own Internet TV network. Lets talk about the most hidden Monetization effect. The fact that you have a Internet TV network on platforms such as ROKU, Amazon FireTV, iPhone, Apple TV etc... give you and your organization “credibility” and “status”. Few people on this planet can boast they have their own network. This benefit of this alone is hard to be measured because its not always obvious that was the reason someone decided to do business with your company. Whenever people are deciding to do business with your business, decide if your church is the right church for them, decide to list their house with your real estate company......many things weigh into that decisions including how they feel about the credibility and status of your organization. So keep in mind that just having your Online Network alone can generate in-direct revenue. Both of these steps allow a total to be calculated monthly so that your channel can get a check every month. This makes your goal obvious; Create or obtain great content people want to see and promote it. In other words build your content and viewership. That is of course the name of the game for any TV network but this is definitely the core concept of success when it comes to getting big advertising checks. To thrive in the Internet TV world you the Content Owner, TV Broadcaster and/or OTT Operator need to optimize ad revenues and make the most of the latest shifts in technology that are available today in order to increase monetization potential. This is why you should require a platform that can precisely target the right audience and accurately insert relevant ads across connected TV channels and multiple screens. 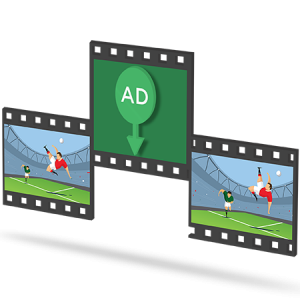 Dynamic Ad insertion - Our solutions make sure that the right ad is ready to play every time there is an ad break and can seamlessly scale to television-sized audiences. Guaranteed Ad views – Even if the stream is paused the Ad is not skipped when the stream resumes. All of these components work together to create a nice revenue stream for your channel. The obvious money maker for online TV is charging a subscription fee. This is a big money maker especially if you have a lot of content. Netflix is making BILLIONS (not millions) from this subscription based method. However of course they have a ton of content so this subscription model makes since for them. You can charge for a day, month, quarterly or annually. You can give free trials and a host of other options to make revenue easier to generate. For smaller broadcasters subscriptions make a lot sense if your audience is a niche. For example if you specialize in a particular content geared to a language besides English or other small niches like ball room dancing etc.... Subscriptions excel in these type of situations because the audience is eager to obtain content that is not catered to in today's mass media. Other models that work well is charge a subscription fee for an ad free version of your network. This is a common “up-sell” for many networks. This allows you to leverage both ads and subscriptions. Lets talk about another fantastic advertising model that seems to do really well with Internet TV channels. Revshare is a network of more than 1,700 media partnerships and is comprised of local, regional and national cable networks, as well as hundreds of broadcast stations and nationally syndicated programs. This model can help you bring coveted ad dollars to your internet TV station by monetizing your channel through selecting pre-made ads. It’s a plug-and-play solution to untapped resources for your ad inventory. This means you choose from a list of pre-made ads that you think would match the type of audience that watches your channel. Instead of getting paid per viewer you get paid per call (not per sale but per call) and typically the pay is 50 to 150 dollars per call. This is fantastic for many online channels with smaller audiences as they seem to be very responsive to this type of offer. Even just a small number of 20 or 30 calls a month can boost your income greatly on your internet TV network. As your network grows the response to these ads continues to grow even in to the hundreds of calls (leads) generating your channel some real cash. The difference in Revshare and dynamic ad insertion is that for your Revshare ads you will need to manually place them into your playlist, where as dynamic ads are automatically placed. However this is still a very powerful advertising tool that give you control of your station without a sales team and with very little work. Just choose the ads and place them into your channel and start making money. With Youtube's new rules its making it harder and harder to monetize on their platforms. You want to be the one in control of your networks future. YouTube Monetization - First and foremost the #1 reason our customers want to acquire their own Internet TV network is so that it can be “self branded”. In other words it has nothing to do with YouTube (facebook or any other 3rd party) and when promoting your channel this keeps your network looking professional. However there are more critical reasons why its important to have your own network and not rely on 3rd parties such as “YouTube”. 1. For the most part it is difficult to make money off of your YouTube videos. That does NOT mean that there are no YouTubers making good money. There are some, but for the majority it is a known fact that channel creators (even those with hundreds of thousands even millions of views) struggle to make even a hundred dollars in a month. YouTube is not in the business for the benefit of the content creators but for the benefit of themselves. 2. Youtube now “censors” content they don't like. This means you are no longer in control of your network. This is important to understand because they censor content they deem “controversial”. However they define what “controversial” is. They are now changing algorithms hiding videos and NOT notifying your subscribers (on new video posts and live broadcast) for groups that have opposing political positions of you tube (owned by google) shareholders. 3. 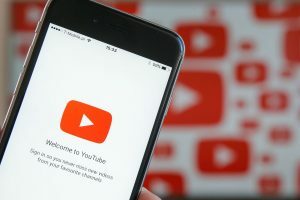 YouTube has new rules that makes it difficult for new channels to monetize any content. The fact is, you have absolutely no control over your subscriber base when you’re on YouTube. You don’t have their names, you don’t have their email addresses, you can’t take them to another platform. That’s a huge issue. This means you can not run email campaigns, promos, and that YouTube could shut your channel down (as they are known to do without giving a reason) without a given notice. YouTube is built to make YouTube money and not to make the broadcaster money. In fact its built to enslave you to their system. Building a YouTube audience is a waste of time and money, unless it is to promote your other platforms which is where you make your real money. YouTube may have some professional videos on their platform, but it is NOT a professional platform. 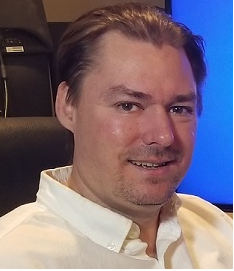 When you have your own online network you can make hundreds even thousands of times more money than you can on Youtube controlling your own advertising or subscriptions. I am not saying YouTube does not have its place, but it is built with the idea for sharing videos and not monetizing them. YouTube has its place and like I said before, there are some earning money on the platform. However the majority of serious YouTubers earn next to nothing. Plus at a moments notice YouTube can cancel, censor or demonetize your channel (or videos) so that your viewers can not find it in a search or a related video. Same thing is occurring with Facebook live broadcasts....You can NOT monetize them and you can be shut off for breaking one of many many rules they have. Facebook and YouTube should only be used in order to support your main Independence channel. That is the purpose of using these social platforms, to SUPPORT your business not to use them AS YOUR business. Insuring against a Facebook or YouTube decision they know longer like you, if your channel is independent they cant SHUT you down.